The trifecta of “Bridesmaids,” "The Heat," and “Spy” are still the yardsticks by which to measure any Melissa McCarthy vehicle. Her latest, back-to-school comedy “Life of the Party,” marks the third co-writing collaboration with husband writer-director Ben Falcone, and while often feeling slapped-together as a story being told, it mainly sticks together by the unsinkable joy and energy of its star, who brings out the best in a reliable supporting cast. 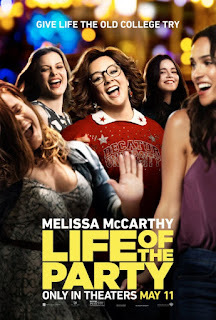 McCarthy is irresistible, fully committed, and worth watching in anything, even when her slate of projects aren’t always as strong as she is, and the same goes for “Life of the Party.” It doesn’t try to break any new ground and, with a PG-13 rating, has no room for the brazen coarseness of 2014’s “Tammy” and 2016’s “The Boss,” but it’s good-hearted and sweeter than most. 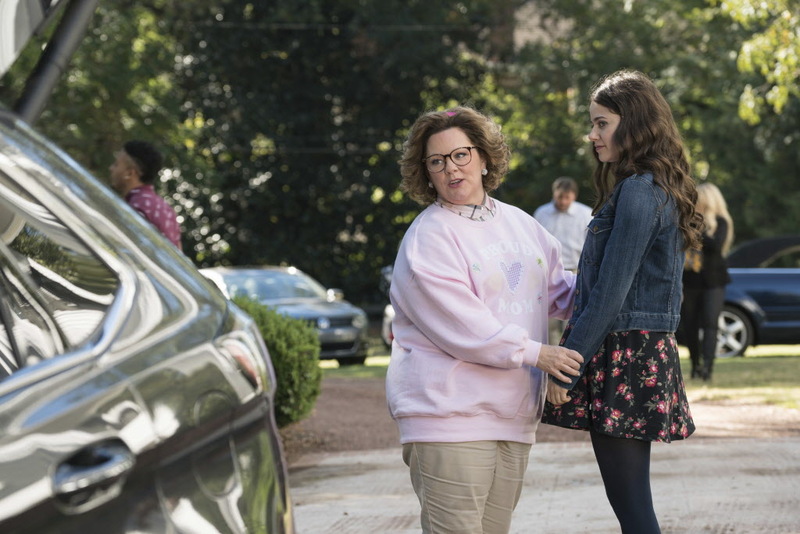 Dropping off college senior daughter Maddie (Molly Gordon) at her Decatur University sorority house is hard enough on chipper, wholesome mother Deanna (Melissa McCarthy), but not even one minute after saying goodbye, husband Dan (Matt Walsh) tells her that he loves someone else and that he wants a divorce. Heartbroken and angry, Deanna decides to finish what she started by going back to Decatur University—her almost-alma mater since she dropped out when she became pregnant—and earn her archaeology degree. Re-enrolling at the same university as her daughter is, of course, too close for comfort for Maddie at first, but Maddie’s closest Theta Mu Gamma sisters, Helen (Gillian Jacobs), Amanda (Adria Arjona), and Debbie (Jessie Ennis), can’t get enough of Deanna, or as they later refer to her, D-Rock. Still reeling from her divorce and her husband remarrying real estate agent Marcie (Julie Bowen), Deanna is “down to clown” in college, but nothing, not even a decent, hunky frat boy like Jack (Luke Benward) falling for her, can get in her way to finally graduate and make a life change. 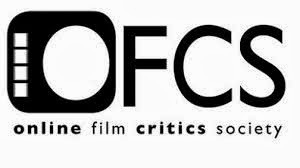 Cribbing general story elements from “Old School,” “The House Bunny” and, really, any underdog collegiate laffer, “Life of the Party” is routinely plotted, its narrative trajectory never in doubt, but it’s frequently amusing and likable, and one hopes Deanna will come out okay in the end. If Melissa McCarthy’s previous creations were often crass and volatile, verging on caricatures but never quite getting there with a talented performer like McCarthy knowing how to reel them in, Deanna is wonderfully positive and bubbly without any need for redemption. She wears her upbeat attitude on her sleeve (and in the form of a needlepoint “Proud Mom” sweatshirt), trades archaeology puns with her former classmate-turned-professor (Chris Parnell), and requests an oaky Chardonnay at a frat party. Able to instill humanity and make Deanna feel of this world and not in a five-minute sketch, while once again showcasing her ace timing for verbal and physical comedy, McCarthy is consistently winning and root-worthy. 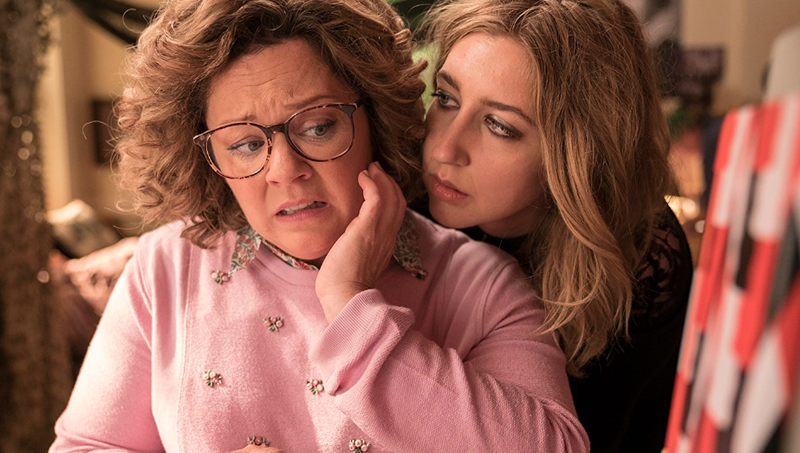 With Melissa McCarthy leading the charge, more than a couple of supporting players make an ingratiating impression as well. There’s a genuine warmth between McCarthy and Molly Gordon (TV’s “Animal Kingdom”), as Deanna’s only daughter Maddie, and an easy rapport with a scene-stealing Maya Rudolph, whose real-life friendship with McCarthy carries over in playing Christine, who vicariously lives through her best friend’s second chance at college. Gillian Jacobs (Netflix’s “Love”) might seem a good fifteen years too old to be playing a college sophomore, but that’s addressed quickly, and she is endearingly eccentric and hilariously expressive as the mathematically challenged Helen, who has returned to school after being in a coma for eight years that has given her a social media fanbase. Jessie Ennis is a quirky delight, too, as Debbie, a Glenn Close fan who fears her kinesiology degree won’t help her later in life. Current SNL member Heidi Gardner is also an oddball standout as Deanna’s out-there roommate Leonor, who never sees the light of day, and Luke Benward shares a sweet, unforced chemistry with McCarthy as the sincerely smitten Jack, who may be less than half Deanna’s age but refreshingly has no ulterior motives with his frat brothers. For the first ten minutes and change, “Life of the Party” sort of flops around after setting up Deanna’s heartbreaking divorce. There’s a ham sandwich joke between Deanna and her parents (the oddly cast Jacki Weaver and Stephen Root) that just feels like improv going on too long, and if that weren’t rocky enough, the father nearly shoots the family dog. Once Deanna takes her life back and moves into her dorm, the film quickly steadies its footing. A cringe-worthy public speaking assignment gets turned into a go-for-broke side-splitter involving a faulty podium, tissues, and a lot of sweat. An ‘80s-themed dance party is also quite a highlight, opening with Deanna and her three girls making their curtain-revealing entrance in “Dynasty” fashion and leading to her dropping a TV’s “Dallas” reference that goes over the heads of her peers and then confidently initiating a dance-off with mean girl Jennifer (Debby Ryan) to Sugarhill Gang’s “Apache (Jump on It).” The awkward revelation at a restaurant is completely contrived on a script level, but it has a crowd-pleasing payoff. On the flip side, a set-piece where Deanna and her new college-aged friends accidentally get high on marijuana-infused chocolate bark is a little stale and a few plot points, like Deanna’s archaeology professor being one of her fellow classmates back in the day, dangle without any real follow-through. 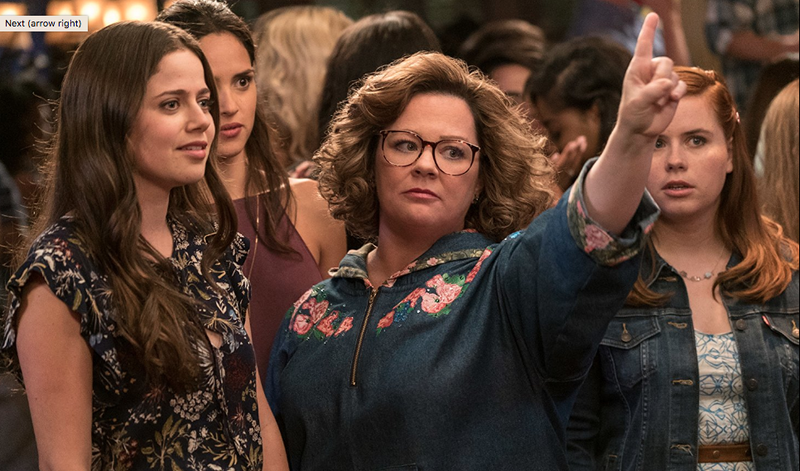 On the whole, “Life of the Party” is a comedic trifle that entertains and has its heart in the right place, and that’s good enough when Melissa McCarthy knows how to get a party started.